On my first trip to Australia, I stopped only briefly in Maldon, but long enough to know I wanted to get back. Fortunately, I did get back a few years later, and had the opportunity to thoroughly explore this delightfully well-preserved historic town. In the early 1800s, the area around Maldon had begun to attract those in search of land for raising sheep and cattle, but the town’s history is anchored in the discovery of gold in 1853. With stunning speed, the population exploded from a handful to 20,000. As was usual, a town sprang up to supply provisions and services for the miners. 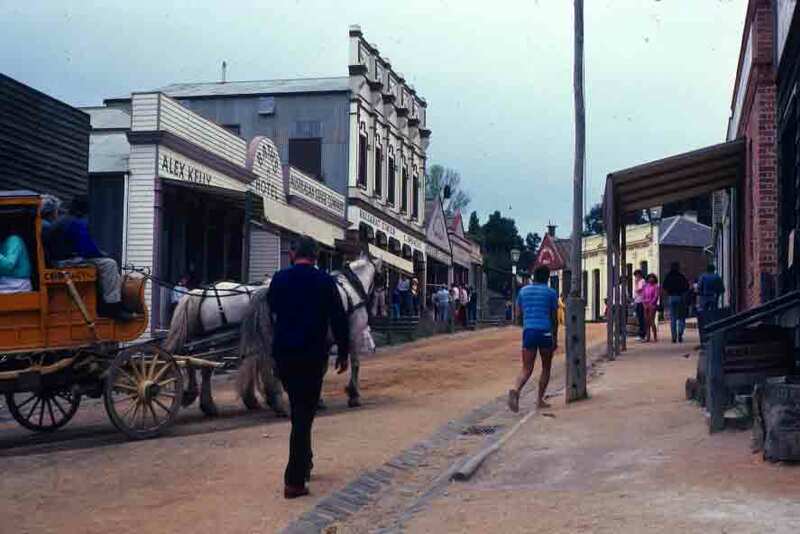 The photo below shows a bit of the main street of notable Maldon. Bendigo was important during the Gold Rush, but Ballarat was to become positively iconic. 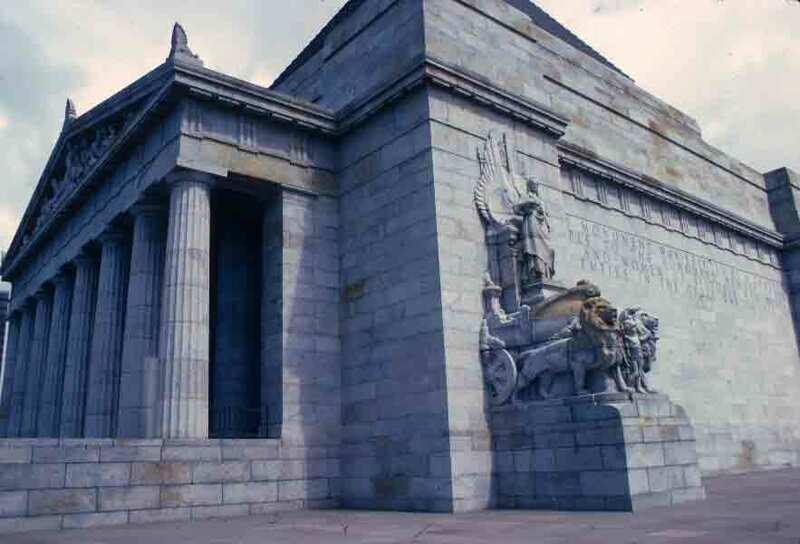 Ballarat was not just a booming gold town, it became the site of the Eureka Stockade, a place and event that stands in Australian history in a position similar to that of the Alamo in Texas. While not everyone at the Eureka Stockade was killed, it was, like the Alamo, a murderously one-sided battle that became a rallying point for national sentiment. However, there were lots of things drawing me to Ballarat besides just the site of the iconic skirmish. 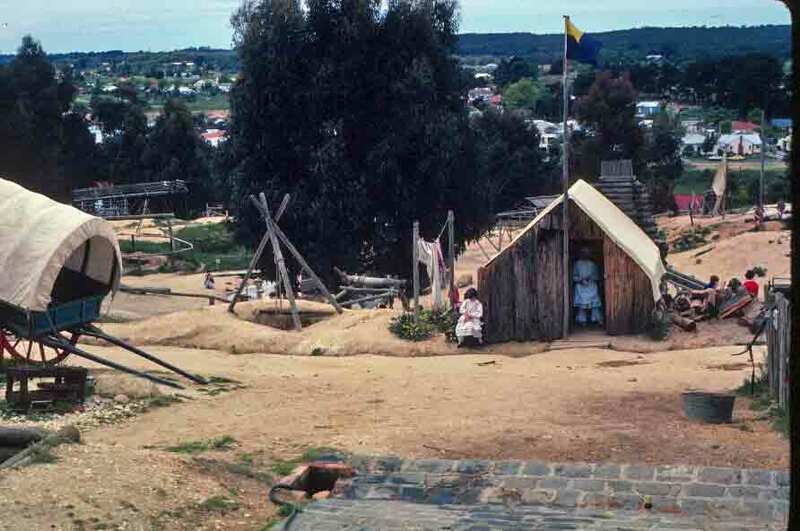 Among those things was Sovereign Hill, a recreation of Ballarat during the days of the Gold Rush, a bustling frontier town populated with re-enactors who take you back to a rough but vivid era. I love history and re-enactments—have gone so far as to have spent a year as re-enactor myself (American Revolution)—so I was overjoyed with Sovereign Hill. I wandered happily through hotels and miner’s camps, school rooms and stores, the newspaper office and theater, and the wagonwright’s and blacksmith’s shops. The “townsfolk” were delightful and eager to share what they knew about the area’s history and the life of the people they portrayed. Splendid place. If you fancy a bit of Aussie history, I recommend a visit. 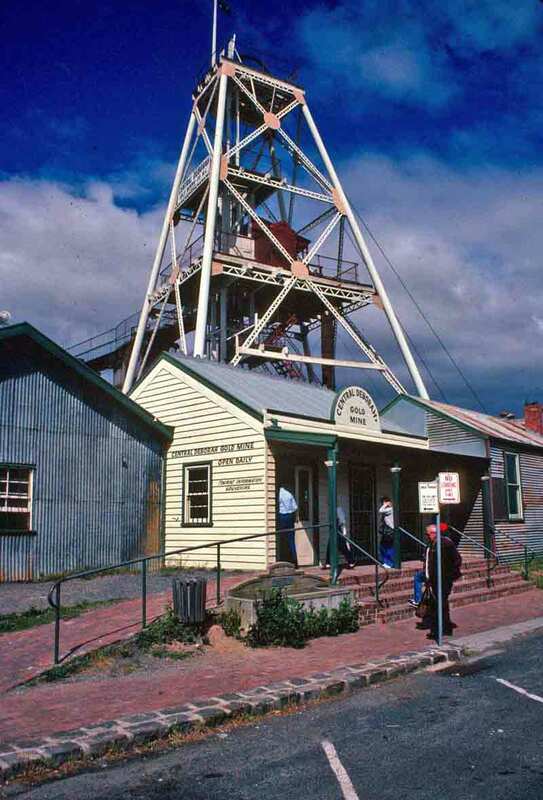 The discovery of gold in Australia had, in many ways, a similar effect to the discovery of gold in the United States—a stampede of hopeful fortune seekers. Victoria is not the only place where gold was discovered, but it most closely parallels the explosive growth and ostentatious wealth of California’s great Gold Rush. In fact, many of those who did not strike it rich in California headed for Australia after Aussie gold turned up in 1851. However, the experience of the gold fields in Australia is more deeply ingrained in the national identity of Australians than California’s is in Americans. That is probably because the United States had a fair bit of history and national identity in place when gold was first struck, while Australia was still quite new. So it was life in the gold fields—the adventure, the “mateship,” the irreverence—that grew into both the legend and the reality of how Australians view themselves. It was, in a way, the experience of the gold fields that gave birth to Australia’s national identity. This excerpt from the poem The Roaring Days, by iconic Australian poet Henry Lawson, sums up the sentiment. 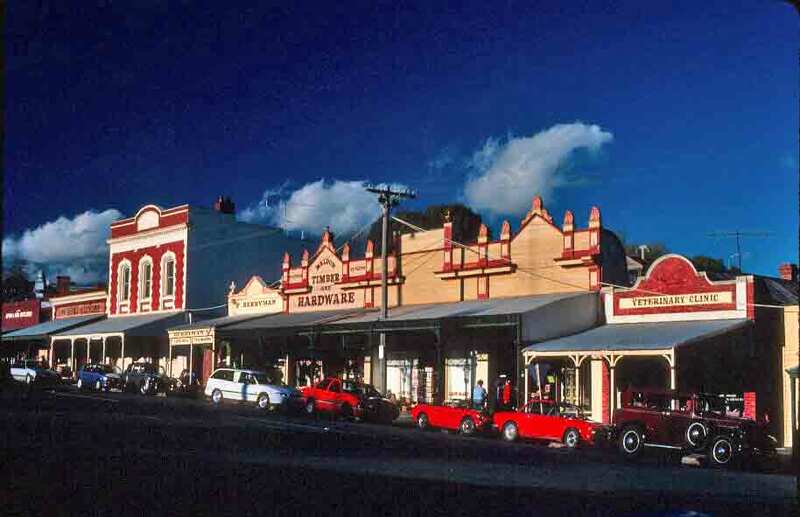 Bendigo was one of the centers of the Victorian gold rush. Mines there went deep, and many survived into the 20th century. I visited the Central Deborah Gold Mine, which was started in 1851 and continued in operation until 1954. The life at this city mine might seem rugged, but was luxurious compared to life in the tented campgrounds of the rural gold fields. There’s a lot more info about the Central Deborah Gold Mine in the book, if you’re interested, but the photo of it is below.